I just added the new WB4 shell styles features to this skin. I don't know if it will ever be available in its present state but I enjoy using it... The wallpaper used in the screenshot is by MobiusCo - "Circle Center"
by far,thats the most superb wb skin i have ever seen...is it going to be released soon?...i hope so, its awesome cant wait for it. You're right V_F, this skin was made about 9 months ago for The Skins Factory but the client backed out of the deal so it's in limbo... There's 3 colors done (out of ten) so maybe I'll un-brand it and release it someday. That is a killer skin. would be awesome if you release it. I'll keep my fingers crossed. Release the skin!! Please!! please! !Killer looking!! 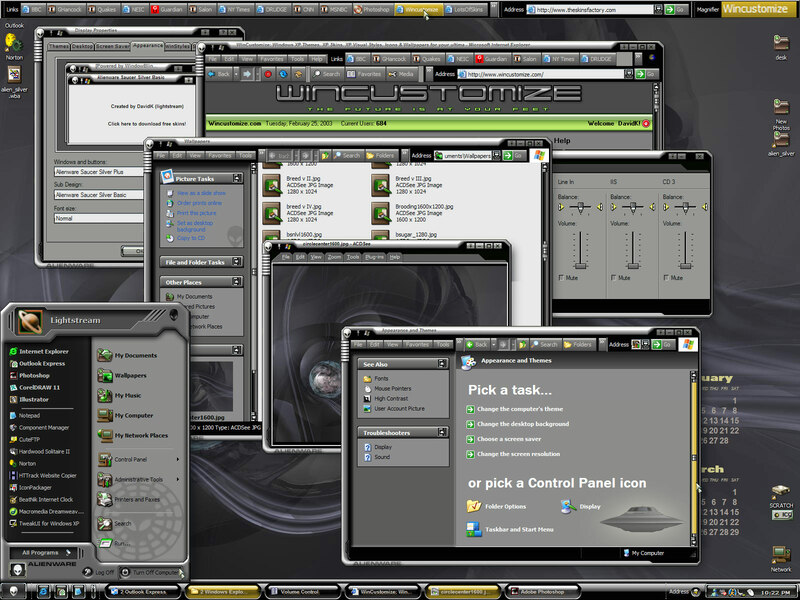 how did you get your wincustomize page to look like that? I dont see it in the themes?? I think you have to be at a certain level to use that theme. It doesn't show up in mine. I like the wb btw. I hope you get to release it.